Join an hour of Yaga session to rejuvenate your body and mind and leave you feeling refreshed and peaceful. The sound of the forest will offer you an opportunity to take a break from your busy mind and lifestyle. Trained over 200 hours, Rossi, our yoga instructor, will share with you her passion in using yoga as a way to relive stress and build mental strength. 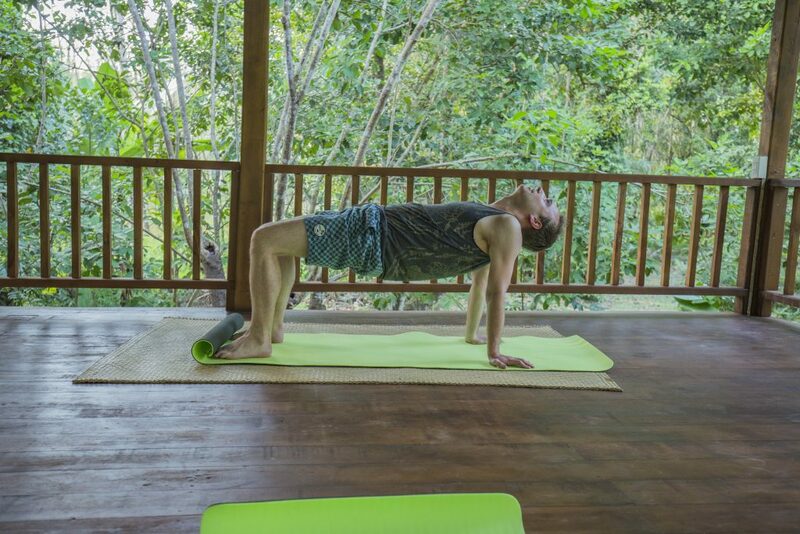 Our morning and evening sessions will take you through meditation with physical practice, deep breathing, emotional balance, calming down and connecting with your inner peace. Please avoid having a big mal or heavy drinks before coming to a session.